High times in the Highlands! 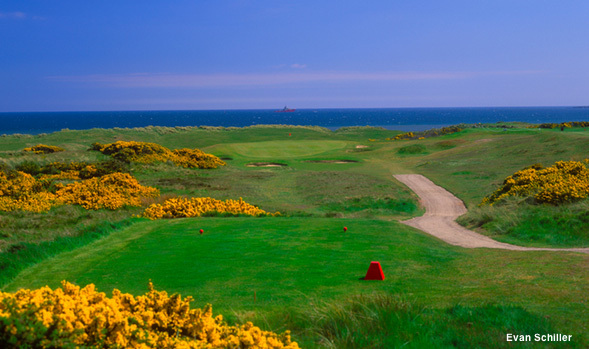 The Scottish Open will conclude this weekend at Royal Aberdeen, one of many splendid links that rim the shores of firths and bays in the north of Scotland. A golfer’s education is not complete until a sampling of these remote gems are explored and savored. Venerable classics dominate our list, but there’s also an enticing trio of newcomers to discover. Built on a classic stretch of links land marked by massive terraced dunes, its crumpled fairways cosseted by heather and whins and crossed by winding burns, Murcar, located near Aberdeen, brings the broad curve of the sea into view from the elevated tees at nearly every hole. 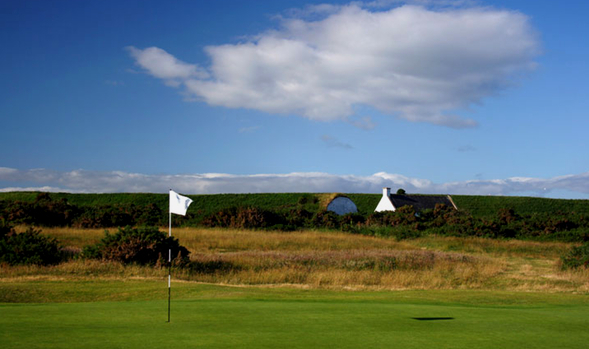 Founded in 1909 and revised in the 1930’s by James Braid, the links relies on the hummocks and knolls of the terrain, along with well-placed pot bunkers and the steady onshore wind, for much of its challenge. 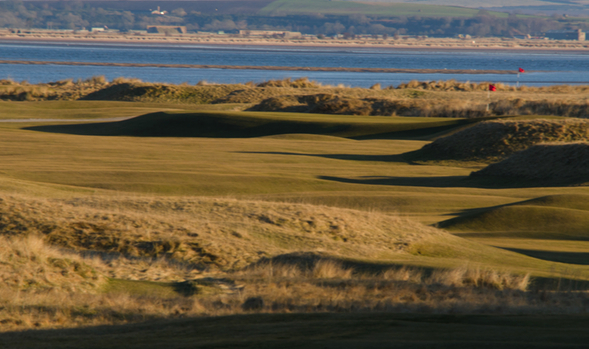 Site of numerous championships, Murcar was voted the Golf Tourism Scotland “Course of the Year” in 2007. Laid out in 1889 by Old Tom Morris on the south shore of the Moray Firth near Elgin, this classic links, much like the Old Course at St. Andrews, begins and ends in town, in this case the lovely seaside town of Lossiemouth. The layout skirts the coast and roams west from the sea towards Covesea Lighthouse. Site of many national competitions over the years, this solid 6,572-yard, par-71 layout concludes at the daunting par-4 18th, which is tightly bunkered down the left side and menaced by OB and a sloping bank on the right. 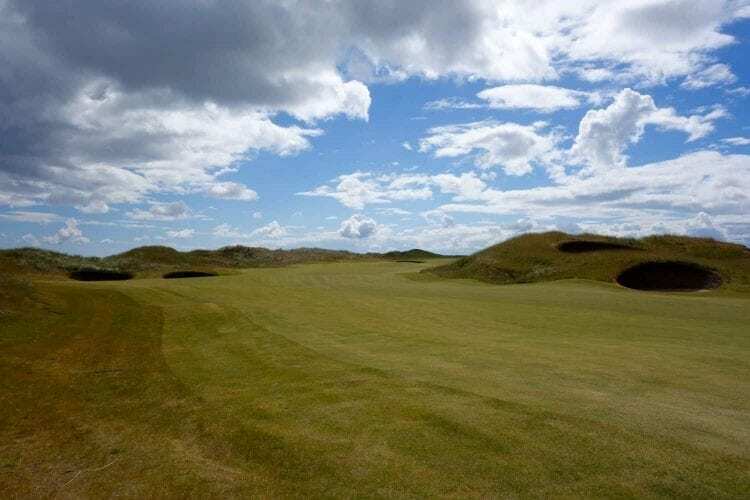 Situated up the coast from Royal Dornoch, this remote links, formalized by James Braid in the early 1920’s, is not long on the card at 6,110 yards (par 70), but is heralded as one of the most enchanting links in the Highlands. A traditional out-and-back layout routed over wrinkled, windswept duneland, Brora’s front nine hugs the North Sea coastline. The back nine runs along croft land and is spliced with sinuous burns as well as out of bounds. The 18th hole is an uphill 201-yard one-shotter that plays to tightly guarded directly below the clubhouse windows. Perched on the edge of the Dornoch Firth with views of the Struie Hills, this exquisite 7,500-acre estate is the ancestral home of industrialist Andrew Carnegie, who built a private nine-hole course in 1898. After falling by the wayside, the castle and its grounds were revived as a leisure complex in the 1990’s, with Donald Steel brought in to create a traditional 18-hole links course on a peninsula. The gently rolling fairways, outlined by tall fescue grasses, look to distant forested hills in the Highlands. Limited public access is available to non-members. 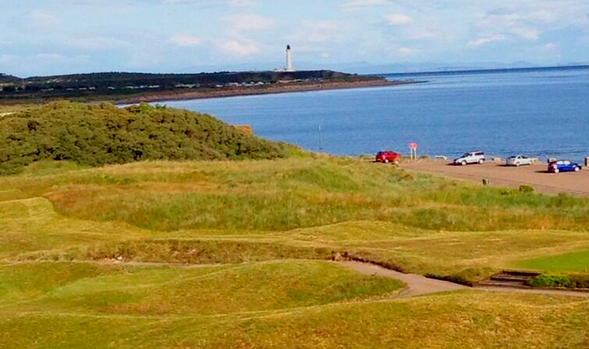 Located in a seaside resort on the shores of the Moray Firth, Nairn, founded in 1887 and host of the 1999 Walker Cup and 2012 Curtis Cup matches, is a rippling, fast-running links that plays directly along the sea on the first seven holes, bringing the beach (which is not out of bounds) into play. Accurate drives are required to find the narrow, tossing fairways, which present an array of bunker-pitted moonscapes pinched by gorse and heather. The speedy greens, a Nairn trademark, are slightly raised or nestled in hollows. Regardless of what you think of Donald Trump, his eponymous links in Aberdeen, unveiled in 2012, is Scotland’s best new course. 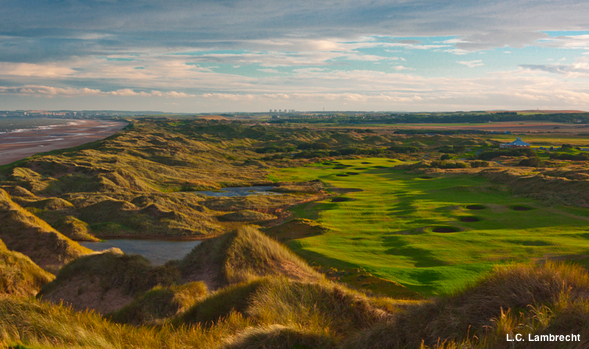 Laid out by Martin Hawtree among skyscraper dunes rising to 60 feet above the blue-gray waters of the North Sea, the layout’s figure-8 routing, threaded for nearly three miles through a wilderness of bearded sand hills, features six sets of tees per hole, broad sinuous fairways, and large swift greens. 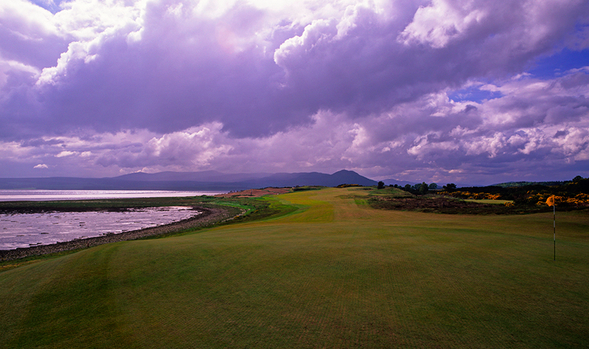 The par-five 18th a 617-yard study in immensity gouged with 18 bunkers, may be the most strenuous finishing hole in Scotland. Perhaps not “The World’s Greatest Golf Course,” as its owner claims, but a superlative links and an absolute must-play. 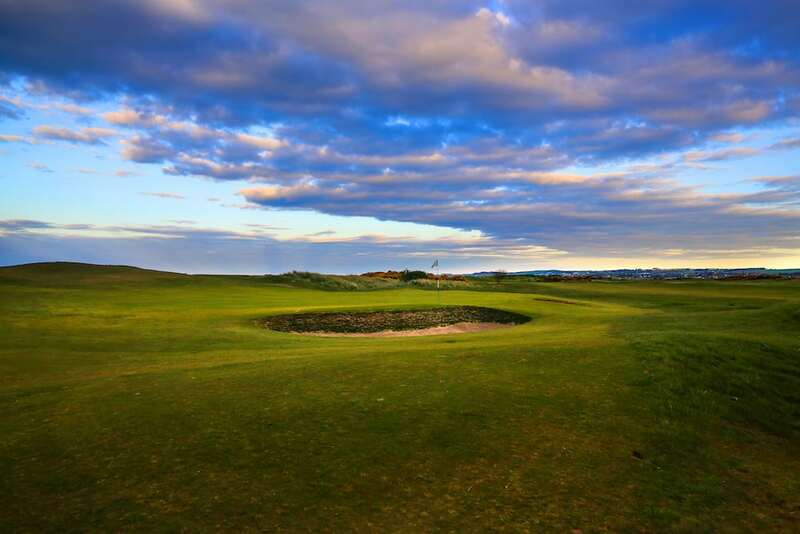 This noble club’s Balgownie links, site of this year’s Scottish Open and host of the 2011 Walker Cup matches, was founded in 1780 and ranks as the sixth-oldest club in the world. 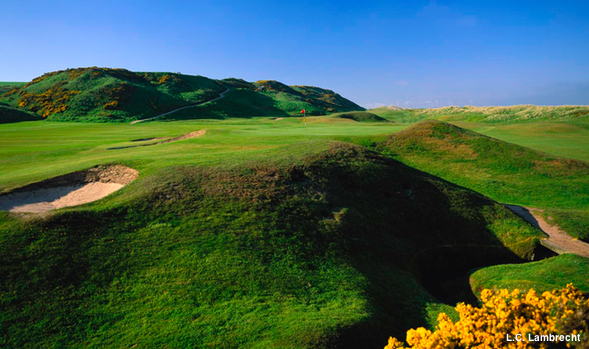 The front nine, perched above Aberdeen Beach, weaves through towering sand hills, the billowing terrain dotted with deep, sod-walled pot bunkers. The shorter inward nine, faced into the prevailing breeze, is less dramatic but no less testing, its tiered plateau greens guarded by OB stakes, turf ditches, and cross bunkers. A classic links. 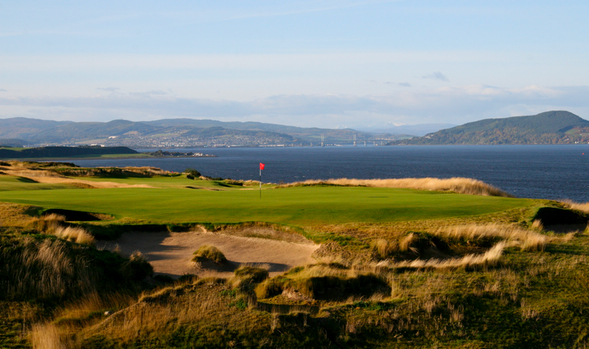 Opened in 2009 and routed along the shores of the Moray Firth near Inverness, this stellar newcomer, a former host of the Scottish Open, was designed by Gil Hanse and Mark Parsinen and has added greatly to the rich fabric of golf in the Highlands. With its whiskered bunkers, rumpled fairways, and wavy, infinity-edge greens, the well-wrought landscape mosaic at this 7,009-yard links is exceptional, as are the views. On-site lodging and stay-and-play packages are available at Castle Stuart. 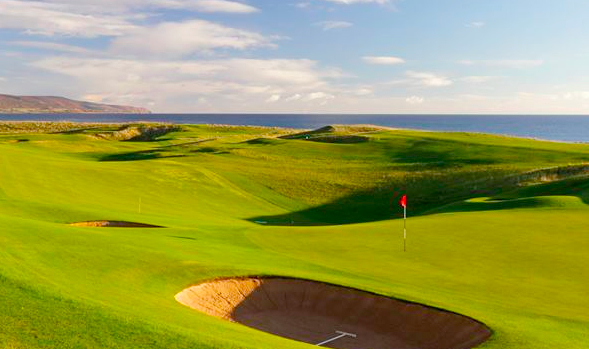 Epic, quirky, and perhaps the most staggeringly beautiful course in all of Scotland, Cruden Bay, originally laid out by Old Tom Morris, was redeveloped by Tom Simpson and Herbert Fowler in 1926. A throwback to an earlier time, Cruden Bay calls for several blind shots over towering sand hills to rollicking fairways. 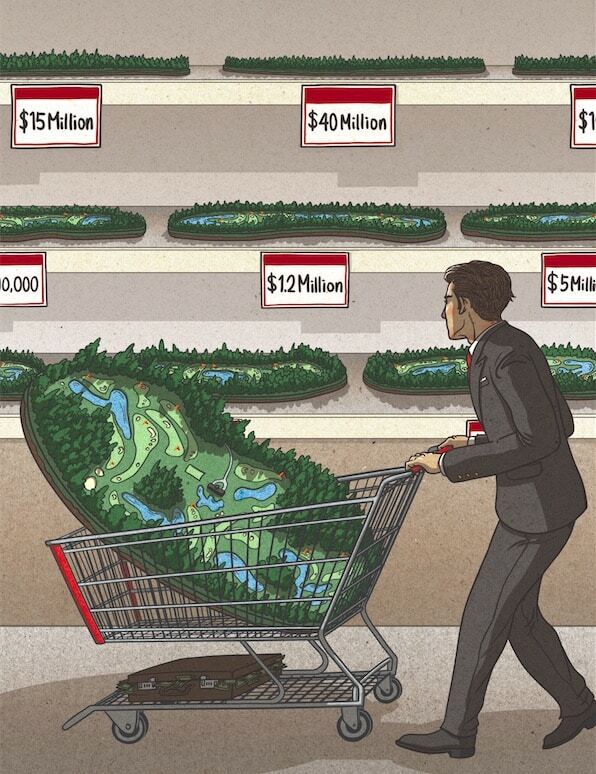 The layout’s elusive greens are tucked into dunes and hidden dells. 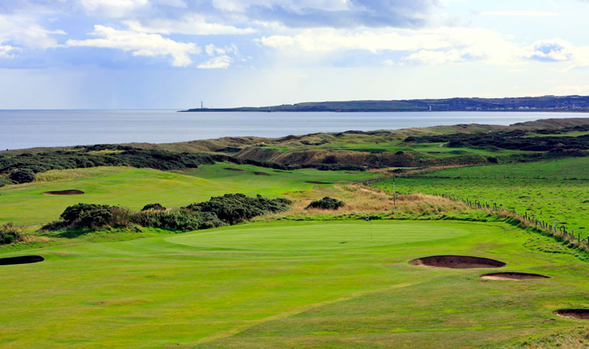 This majestic course hard by the North Sea delivers heroic, adventurous golf of a very high order. 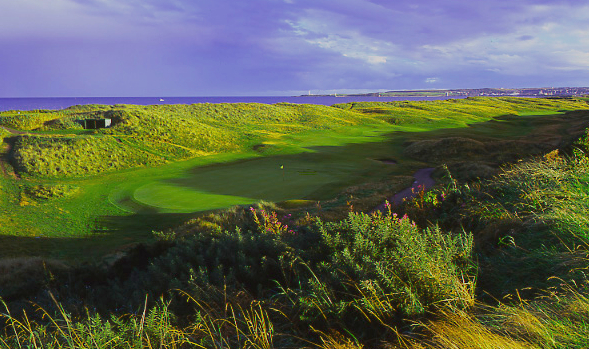 Pete Dye lists Cruden Bay among his five favorite courses. 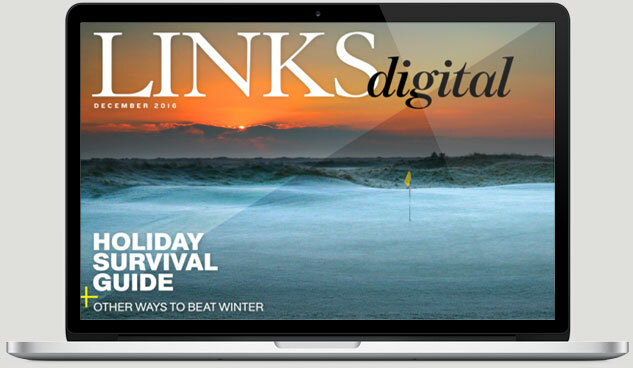 Wild, isolated, and utterly natural, this timeless, spellbinding links, where a young Donald Ross came of age as a golfer, dates to 1616 and is the world’s third oldest course. A classic out-and-back layout situated on the same latitude as Juneau, Alaska, Royal Dornoch veers from steep hillsides of gorse and bracken to a white sandy beach stretched along the curve of Dornoch Firth. The greens, many of them sited on naturally elevated plateaus, are the heart and soul of this beloved Highlands shrine. Its most celebrated hole is the long par-four 14th, called Foxy, a double-dogleg with no bunkers. And none needed.